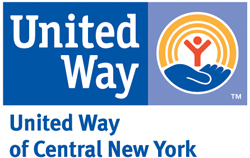 Syracuse University has launched campus-wide activities and events to support the 2012 United Way Campaign, which will run through the end of the calendar year. In October, a pledge card with a message from Chancellor Cantor was sent to all faculty and staff members, followed by e-pledge e-mails Nov. 6. At the bottom of each e-mail, donors are invited to click through and make a paperless, electronic pledge. The United Way believes “Living united is about working together for positive change in the community.” Its network focuses on fulfilling needs in the areas of education, income, health and safety net support services. Volunteering to lead SU’s 2012 campaign efforts is Chair Suzanne Thorin, University Librarian and Dean of Libraries. In 2011 Thorin served as SU’s campaign vice chair. In preparation for the campaign, Thorin recruited a cross-campus leadership team, which coordinates campus campaign events and communicates the benefits of supporting the United Way. From October through December, departments across campus sponsor United Way events, including silent auctions, basket extravaganzas, craft fairs and more. To become involved in SU’s campaign, or if you have questions, contact coordinator Kate Hammer at 443-3919 or kehammer@syr.edu.